One of the great challenges Uganda faces, along with the rest of Africa, is feeding it's people in a sustainable way. We believe the key to making this dream a reality is to teach and train local people to grow their own food. And in the process of doing that, they learn to care for their own families. However, there is a major hurdle to overcome.... generations of inefficient agricultural practices. Western technology and commercial techniques are not proving to be the answer to this growing issue. So, what is the answer? We firmly believe that African solutions are available and can make a huge difference. 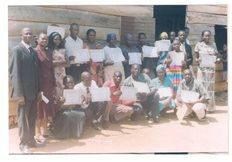 For a number of years BHW has been partnering with Thomas and Joyce Lubari in Jinja, Uganda. 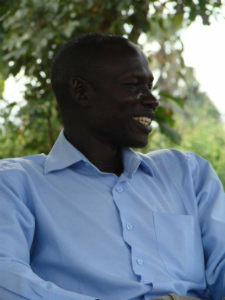 Thomas is involved in church planting/training and travels extensively in Uganda and South Sudan. Along with this he wants to see transformation come to poverty stricken communities by training them in better techniques of farming. He was trained as an agricultural economist (agronomist) as a young man and has dreamed of doing this. Over a period of years we have talked to him about the way forward and nothing came together until 2012. Down in Zambia the local BHW facilitator came across Farming God's Way, an African solution to African agriculture and mindset problems. 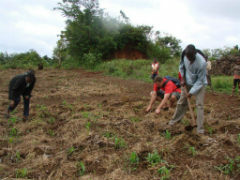 Over time he developed it and learned a lot about the issues of agriculture in Africa. 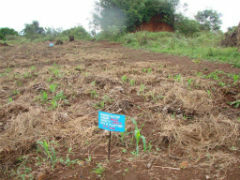 In the meantime, the course was rebranded as Foundations for Farming and in 2012 BHW sponsored three people from Uganda to the course in Zimbabwe. Those who attend the training and who are willing to change their thinking about how to grow things differently. These will initially be poor people in rural churches. Their families will also be beneficiaries as they become self sustaining. We like the foundational concepts that Foundations for Farming teaches. We also like the energy that Thomas brings to this programme, and the network that Thomas has, a network of many people in various parts of Uganda and South Sudan. The greatest threat to this programme is that people will not learn easily. Especially in South Sudan, there is great resistance to change. The bad habits are deeply embedded. Thomas and Joyce Lubari have lived in Uganda for many years. Thomas has a background in agriculture and theology and is currently pastoring the church they planted in Jinja. Joyce is trained in accounting and currently works in the administration department of a Bible School. She is the only one earning a salary. Both of them have been to Zimbabwe for the Foundations for Farming training. They have 5 children and live in Jinja. They are also responsible for many other children from Thomas’ family. A number of his siblings have died and he is left responsible for their children. The vision is to establish a number of bases in Uganda and South Sudan where people will be trained. Thomas and Joyce will visit these locations four times a year to monitor and continue training.